The primary care shortage could dip to an all-time low with a deficit of up to 33,000 primary care physicians nationwide. How will those in need or urgent primary care get the treatment they need? The solution lies in nurse-managed health centers that are cropping up in areas across Kentucky. 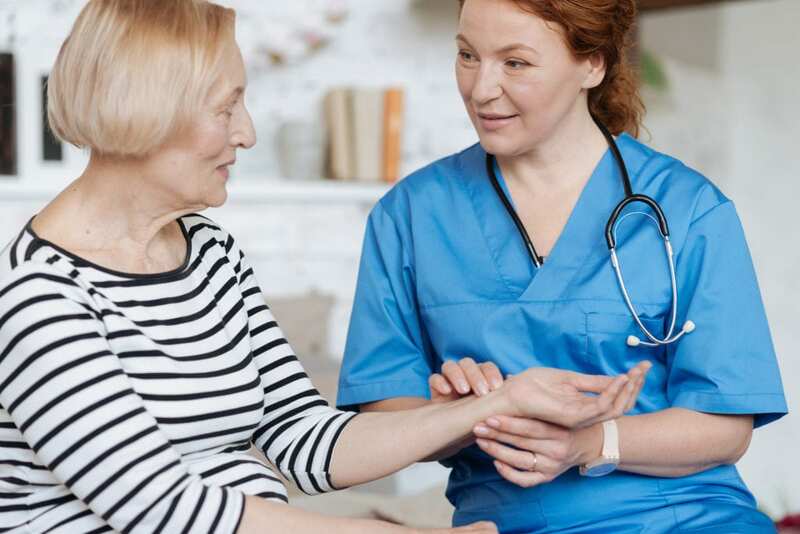 The new delivery model may not be a permanent solution for those opposed to the role of advanced practice registered nurses in primary care, but it presents a viable means to deliver quality and affordable care to those in need. By operating NMHCs, nurse practitioners provide primary and preventative care in community-based clinics and help to relieve the workload on over-extended physicians. As one of the fastest-growing segments of primary care professionals, more than 75 percent of the workforce is already providing primary care. The Doctor of Nursing Practice delivers the training and preparation nurses need to move up the ladder. But as more nurses enroll in this program, graduates depend on the legislative support that will enable to practice without restrictions. Kentucky requires nurse practitioners to enter into a Common Collaborative Agreement (CAPA-NS) with a licensed physician to prescribe controlled substances. The professionalism, leadership, and specialization of APRNs trained at the DNP level could go a long way in instilling confidence and making way for fewer barriers to practice. Trained at the highest level of practice, graduates will be able to perform checkups, diagnose and treat diseases, prescribe medications, and refer complicated cases to specialists. They will also function as viable educators of the next generation of nurses – by providing much-needed relief from the shortage of faculty. Visit a hospital, clinic, or other health care setting, and you’ll find that nurses outnumber other health care professionals. Across the United States and, perhaps, the world, nurses are by far the largest group of health professionals. For such as large group, few nurses have an impact on policies as they relate to patient care. The Doctor of Nursing Practice prepares students to assume leadership roles including those where they can advocate effectively for the patient. The DNP produces nurse leaders with practice competencies, unlike the Ph.D. that prepares students for academic research. DNP prepared nurses can translate research into practice to improve systems and patient outcomes. 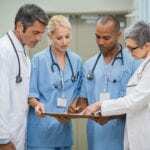 A study published by the Institute of Medicine and the Robert Wood Johnson Foundation highlighted the role of nurses in transforming the current health care system. It identified the level of training, education, and experience nurses must have to lead these changes. From helping other nurses achieve their highest potential, through instruction and mentorship in the classroom or at the bedside, to patient advocacy and the development of policies, the DNP helps students acquire the competency to advanced health care. While the bachelor of science in nursing prepares nurses for lower level positions in leadership, the DNP will prepare them to lead organizations and systems. They serve in positions across the health care spectrum, which includes but are not limited to governmental agencies, universities, foundations, and non-profit organizations. Many of these positions are requiring a doctorate degree at minimum. Health care reform demands more from nurses and other health care professionals. At every level, nurses’ role and responsibilities will increase. 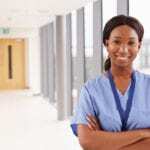 Just as the requirement for a bachelor degree in nursing is increasing in most medical settings, the DNP will likely take precedence over the MSN. The reality that universities are fast replacing the MSN with the DNP is a faint shadow of the future of nursing. Nurses derive great satisfaction from the profession. Those at the bedside work closely with patients, are acquainted with the patients’ needs, and can offer a helping hand and word of support during a challenging period. At the higher end, in the boardrooms, nurses can still play a vital role through patient advocacy and the development of policies that will trickle down and positively effect changes for patients, families, communities, bedside nurses, and other related professions. Whereas one nurse can impact the lives of a few patients in one day, a nurse leader or administrator can impact care for thousands of patients throughout generations. The unpredictability of changes in the health care delivery system can be unsettling for nurses. The changes could impact patient care, educational requirements, the types of nurses needed, as well as the workforce demands, which can switch from surplus to deficit at a moment’s notice. One thing is certain; the repeated calls for increasing the education of nurses will not change, as there is evidence to support higher education for better patient outcomes. DNP nurses are better prepared to collaborate fully with physicians, dentists, and other doctorally educated professionals to improve the delivery of care. The shortage of nurse faculty is posing a challenge to producing nurses to fill the current shortage in healthcare. Having more nurses trained at the DNP level will increase the pool of candidates capable of assuming positions in colleges and universities. Clinical positions offer better salaries and compensation packages than educator roles. However, having a wider pool of graduates will increase the percentage of nurses willing to take up positions in faculty on a full-time or part-time basis. The demand for highly educated nurses in education matches the demand in the health care setting. Stakeholders are closely monitoring safety and quality in care. The belief that higher education leads to better outcome has employers searching out the best nurses to add value to their medical teams. 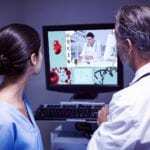 DNPs are trained in technology and scientific advances that are useful in a clinical setting. Graduates often take a national certification exam to demonstrate their specialized training and ability. DNP programs are typically offered in a hybrid format to accommodate working professionals and enrich the learning experience. At the conclusion of the program, students will complete a DNP project that is a synthesis of their experiences. Together with the clinical experiences and academics, the project will prepare students to demonstrate leadership and organizations skills to improve health outcomes, translate and apply evidence to improve practice and outcomes, demonstrate proficiency in the use of technology and information systems in care, implement health policy at the institutional, state, or regional level, and demonstrate competencies across specialties. You can enter the DNP program on the merit of one of two credentials: your BSN degree or MSN degree. If you’re a registered nurse considering advanced practice, you can earn the MSN degree en route to the DNP degree or if you already hold a master’s degree in nursing, you can take your practice to the highest level by completing the post-masters DNP. The Doctor of Nursing Practice (DNP) program requires completion of at least 72 credits, but can vary based on the selected area of specialty. Some of the academic courses may be completed online and the residency hours will be completed with an approved preceptor. BSN students will need to cover at least 1000 hours in a clinical setting to satisfy the requirements for a DNP degree. The curriculum will emphasize the DNP Essentials to prepare RNs for an advanced practice, administrator, or educator role. Core areas of study include competence, ethical standards, accountability, cultural and social diversity, information technology, and leadership. A BSN from a program accredited by the Accreditation Commission for Education in Nursing (ACEN) or the Commission on Collegiate Nursing Education (CCNE). Cumulative GPA of 3.0 or above (or one outlined by the program administrator). Experience as a registered nurse. An active unencumbered registered nurse license. A grade C or above in graduate statistics and research. Transcripts of all post-secondary courses completed. A personal statement of your goals and accomplishments. Advanced practice nurses enroll in the post-master’s DNP to take their practice to another level by developing leadership skills and advocating for changes in the health care system. This program can be completed in approximately two years part-time. Students must complete 32 to 38 credit hours. The curriculum builds on the master’s education and covers quality improvement, evidence-based practice, and systems leadership. A license to practice as an advanced practice registered nurse. At a rate of $648 per credit for in-state students enrolled in the public university system, the approximate cost for tuition for the post-master’s to DNP program is $22,680. Mandatory fees, textbooks, and supply costs will apply. Some programs may be eligible for financial aid.